You may rememeber I reviewed a set of MegaBleu games a few weeks ago and had super great fun with them! Well we have been sent another game to try out. 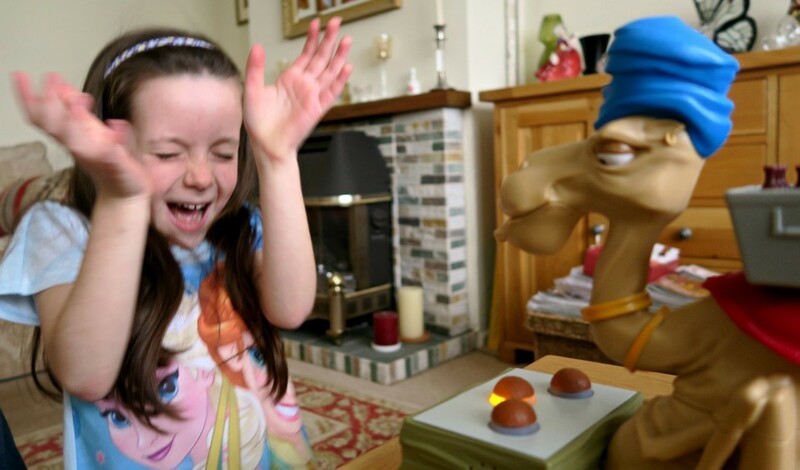 We took along Trickin Camel to my parents house to keep the kids busy, it did that, they loved it! 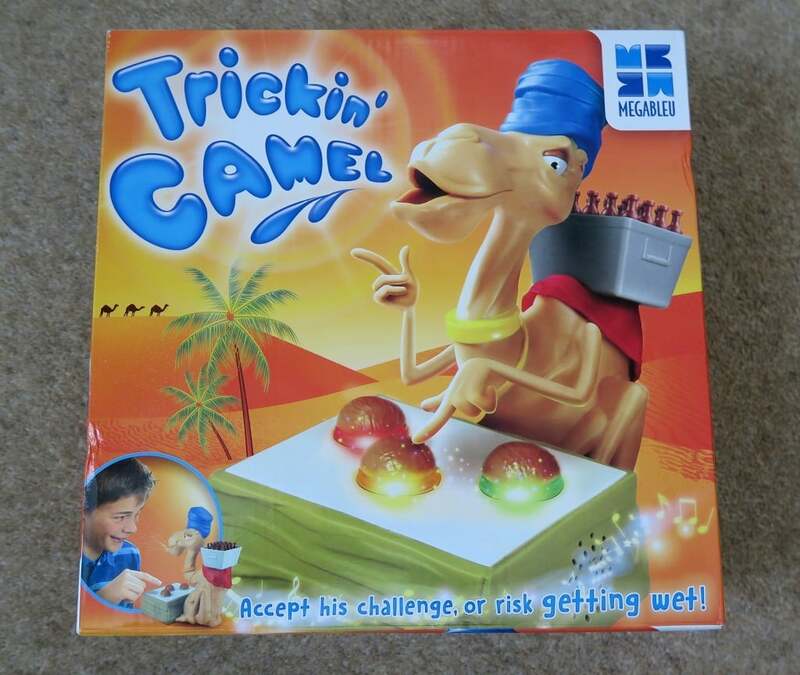 Megableu Trickin’ Camel is a challenge based game, and has 3 electronic challenges to complete. What I loved about this game was that you were able to play with up to 4 players, so it is great for a group of friends to play. You take turns to complete the challenge, this could be pressing the lights in the same order as they lit up, pressing the last light that lit up and speed button pressing. IF you didn’t manage it, you would get spat on by the camel! The game comes with a little pipette which you use to fill the camels mouth up with water, then it projects it at the person playing if they get the incorrect answer! This is very funny and right up the kids street, if they get it correct they can collect a bottle off the camels back. However, watch out if the camel gets bored he will chuck off all the bottles on his back!! Priced at £19.99 I think it is good value and something the kids love, but also parents and adults could play this too and have just as much fun! *I was sent this game for the purpose of this review, however all words and honest and of my own. This looks like so much fun! My step kids would love it!